JLL Retail Blog > Agency Leasing > What’s the Diagnosis for the CVS and Target Pharmacy Deal? The rise of retail clinics offering access to basic medical services across the U.S. is a symptom of today’s ‘always on’ lifestyle. Their business model caters directly to today’s time and money conscious consumer, providing affordable, accessible and convenient health care for minor ailments and injuries. With a 10% rise in the number of retail clinics in the past year, it’s a booming business segment – and so it was only a matter of time before a partnership emerged between a retailer and a healthcare services company. This week it emerged that CVS Health will snap up Target’s pharmacy and clinic businesses across the U.S. for around $1.9 billion. The deal includes a 1,660 chain of Target pharmacies that will now operate as a CVS store-within-a-store format. 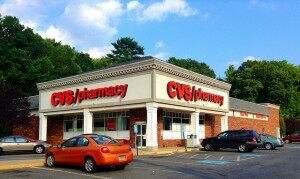 All in, it will increase CVS’s existing 7,800 retail pharmacy portfolio by 20%, and also add 80 pharmacy services locations, which will now operate as MinuteClinics. These new additions have the potential to significantly extend CVS’ reach in the marketplace. According to a recent report by Brandeis University, CVS MinuteClinics served more than 20 million patients last year. While the newly formed CVS locations bring customers convenience, the acquisition also is likely to benefit the real estate footprint of both companies through cost efficiencies. If successful, this real estate play may give both an opportunity to reduce capital spend. Categories: Agency Leasing, Americas Retail, Retail Transactions, Retailers and tagged CVS, Holly Rome, JLL, retail, Target.